With the daily media attention given to technological innovation and the truly amazing products and services that have brought amazing changes to the way people and businesses function on a daily basis, one critical component to all of them is often overlooked – power. It’s what keeps all the devices and applications and services that dominate our personal and professional lives function. When we lose power, we lose connectivity and operational capability. But, even more importantly, the amazing capabilities of these devices is driven by miniature circuitry that is fragile and susceptible to damage from power surges and voltage spikes. I was reminded of this, when one of the Nor’easters that hit the Northeast knocked out power in my area. Being without power was a burden. Thankfully, I was only out for about two days. However, when power was restored, I found that most of my services had also been restored – but not all. It turns out that the voice modem providing telephony service had been damaged at some point – either at the point of outage or power restoration, and while it powered on, the circuitry inside was damaged and would not transmit voice signals. I was fortunate enough to be able to return the device to my operator at a local customer service location and receive a new one in exchange, and after having the new device activated on my line, service was restored. I also realized that I had not plugged the original device into any power protection device, which likely would have prevented the damage and saved me the additional hassle. Extend the same situation to businesses with hundreds of thousands to millions of dollars of sensitive technology in their offices and data centers. 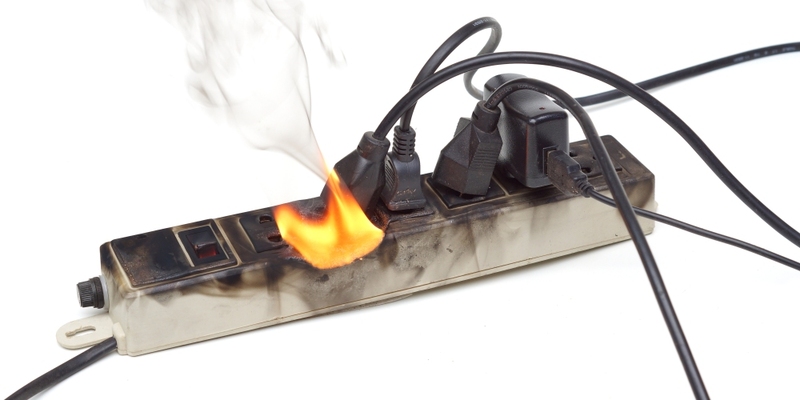 Without power protection systems, all of that investment is at risk with every power surge, whether an outage occurs or not. The simple answer is a properly sized and designed system that will regulate voltage and provide enough standby power to allow for system shutdown if power is interrupted. Of course, for critical systems, longer running backup power can be installed to keep them operational for the duration of the outage. For me, the cost was a short amount of time and a few missed phone calls. However, for businesses, the cost can be significant, including replacement and repair costs, down time, software installation and data recovery, and of course, lost business opportunities. Much as I have since added a power protection device for my modem, businesses should install business-grade systems in their facilities before it’s too late.